6 pairs of heel plates. 6 pairs of heel plates. - Ideal for replacing the worn or lost heel plates. 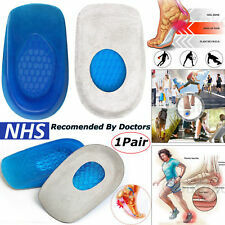 - Heel Plate Size: Approx. Other country. Brazil, Spain, Canada. 12PCS of heel plates. Material: PU. 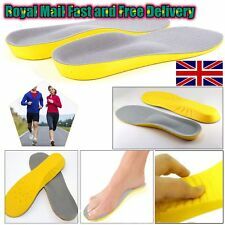 Ideal for replacing the worn or lost heel plates. Nail Length: Approx. These high-heeled shoes heel plates are great accessories for your high-heeled shoes. 6 pairs of heel plates. When you're wear out your high-heeled shoes,the hobnail is broken. -The vise pry out the old shoes nails. -The new spike Align the holes Knock into your shoes. Foot Shape:Horseshoe（U） and round. 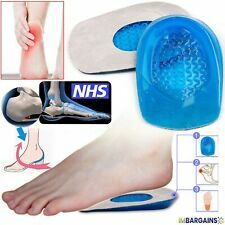 -If the heel nail installed after the direction of rotation, then. Simply peel off and place the adhesive pad on the shoes sole. Press firmly and leave for 2 hours to allow glue to dry. 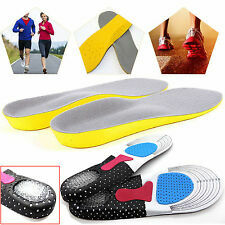 Anti-Slip self-adhesive shoe pads. Ideal for Ladies or Gents shoes. Made from a hard wearing durable material to give extra grip on slippery, smooth surfaces. Composition: massage pad increase pad 4 = 3 cm. You can follow below process to chontact us. Insole width: 6.0CM or so. As different computers display colors differently, the color of the actual item may vary slightly from the above images. 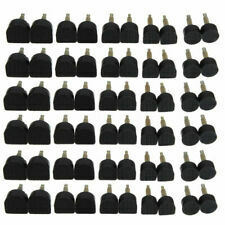 Description: These high-heeled shoes heel plates are great accessories for your high-heeled shoes. They are essential accessories for shoemakers. 6 pairs of heel plates Ideal for replacing the worn or lost heel plates Made of hard and durable material Heel Plate Diameter: Approx. 9mm Nail Length: Approx. Kindly Tip hope you can understanding, will be sincerely appreciated. Size: 3.54 2.56in/9 6.5cm. Canada Rate (item arrived) 0.0% 47.1% 31.4% 17.6% 3.9%. Rate (item arrived). Insoles color: Transparent. 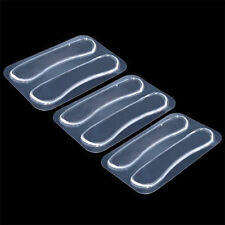 Silicone Gel Feet Cushion Foot Heel Cup High Elastic Care Half Insole Shoe Pad. ■ Work like a cushion, Shock-Absorbing. Material: CRYSTAL GEL. ■ Reusable. Hand wash with warm water and soap. Designed for thin strapped sandals to hold up the strap with no visible appearance. 4xHeel Liners. 1.Super-soft and supple gel. Material: Silica Gel. We will try our best to reduce the risk of the custom duties. Special surface design will play a great role in anti skid,and furthermore,it is transparent and will be. When we wear high heels or other shoes that are easy to slip,it will make us embarrassed and annoyed. Goodyear Premium Heels for Shoe Repairs - Gents. DIY premium rubber long life quality heels. Approx 7mm thick and hard wearing. Glue availableHERE (only 1 x 30g tube required). Goodyear soles HERE. Instructions for replacing soles available HERE. Used to repair worn out soles for longer shoe life. Composed of soft rubber, the sheet features excellent abrasion and slip resisting characteristics. Adds extra lift and cushion for the entire length of the foot when you cut to fit. Skin peeling or blister from heel and shoe rubbing. 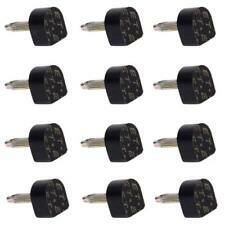 Ideal for new shoes which can effectively prevent heel uncomfortable. Material: Silicone. Suits all types of high heel shoes. Your recognition will make us more confident to develop. Effectively repair heel hypotenuse fray area,it has good wear resistance characteristics.It was usually used for repairing heel pad.Color:BlackMaterial:rubberSize: 56*24*3.1cm Steps:Clean and dry the solesCut off the excess of the edge.Roughen the heel or soles stick surface with a file.Use shoe glue to stick it,pay attention to pressing and copressing.Don't stick in the wrong direction,force on positive and negative.See the soles smooth or not,if not,trimmingAftering finishing,try it,if your feet feel no discomfort,it 's ok.Weight:148gFit for:Repairing heelPackage included:40 pcs x Rubber Heels.Note: Light shooting and different displays may cause the color of the item in the picture a little different from the real thing. The measurement allowed error is .